Search For "Restaurants & Bars" Companies in Little Rock, Arkansas - Click Here Now! Noted For Selling"The World's Best Ham". 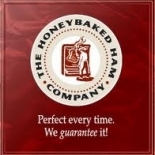 HoneyBaked Ham Co Little Rock, Provides Catering,on-line Catering, Alternative Distribution, fundriaising Opportunities, On-site Lunches, And Corporate Gifting Options. HoneyBaked Ham Co Little Rock in Little Rock is a company that specializes in Eating Places. Our records show it was established in Arkansas.